Along with Denon, Marantz, Pioneer, and Yamaha, Onkyo has been one of the mainstay Japanese consumer-electronics companies building home-theater receivers. Integra is the more upscale sister company of Onkyo. Since 1999, it has been available mainly through specialty A/V integrators, rather than the typical retail channels that carry Onkyo products. In the early 2000s, Onkyo had a separate division, called Integra Research. This was the pinnacle of Onkyo technology, creating components with the best parts that competed with dedicated high-end audio manufacturers. I remember lusting after the RDA-7.1 amplifier ($5000 USD when available). This seven-channel amp was rated at 300Wpc into 4 ohms, weighed 115 pounds, and reportedly performed favorably when compared to the likes of Bryston or Lexicon. Although Integra Research is no longer around, the new Integra flagship products pay homage to that history by using the name Research Series. Compared to the Onkyo line, the Research Series uses hand-selected audio-grade parts and has other internal upgrades. 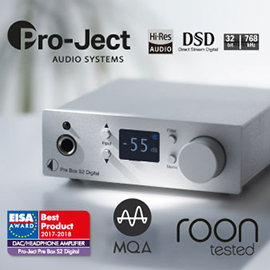 The first two products in the Research Series are the DRC-R1 A/V preamplifier-processor ($2500) and the subject of this review, the DRX-R1 11.2-channel receiver ($3200). I’ve owned a bunch of Integra products over the years, including a receiver, an A/V preamp, and a nine-channel power amp that I still use. I was excited to hear what Integra’s new top-of-the-line receiver could do. Integra receivers have always looked different from their Onkyo counterparts. Onkyo receivers usually sport blue LED displays and lights, and buttons hidden behind a pull-down cover. Integra receivers, on the other hand, have gray LEDs, and all buttons are visible on the faceplate. The DRX-R1 is no different -- it’s mostly black, with splashes of silver: the On/Off button, the Volume knob, and the feet. I prefer the Integra look: handsome yet understated. At 49.6 pounds, the DRX-R1 is beefy. This weight can be attributed to the features of the Research Series, which include more internal cross bracing, better power-supply shielding, and a higher-grade power supply. The DRX-R1 is also on the large side, at 17.1”W x 7.8”H x 17.6”D. The DRX-R1 includes the latest trend in home-theater receivers: 11.2-channel, object-based surround sound, with both Dolby Atmos and DTS:X decoding. Processing is handled by three Analog Devices SHARC processors, with a 32-bit/384kHz AKM4490 DAC for the front left and right channels, and two 32/768 AKM4458 DACs for the rest. With 11 channels of amplification, the DRX-R1 supports speaker configurations up to 7.2.4: seven surround-sound speakers (including rear surrounds), two subwoofers, and four height speakers. I prefer having rear surrounds and four height channels because, unlike such variants as 5.1.4 or 7.1.2, it offers no-compromise playback of any soundtrack. The DRX-R1’s music-server function is a cut above what’s usually seen in AVRs. In addition to AirPlay compatibility, the server can also stream from Deezer, Pandora, Spotify, Tidal, and TuneIn. The best part is that the DRX-R1 is compatible with 2.8MHz, 5.6MHz, and 11.2MHz DSD sampling rates -- I could natively stream DSD from my network hard drives. The DRX-R1 also supports FLAC up to 24/192, and Apple Lossless up to 24/192. With future firmware updates, the DRX-R1 will also support Google Cast for Audio and Master Quality Authenticated (MQA). All of this means that I’ve finally found a receiver with a music-server function that is 100% compatible with everything in my music collection. Traditionally, the power-amplifier sections of Integra’s best receivers have been class-AB, push-pull designs with three-stage inverted Darlington circuitry. For the DRX-R1, Integra has used an Advanced Hybrid Digital Amplifier. Although not technically digital, the AHDA is Integra’s take on a class-D circuit. 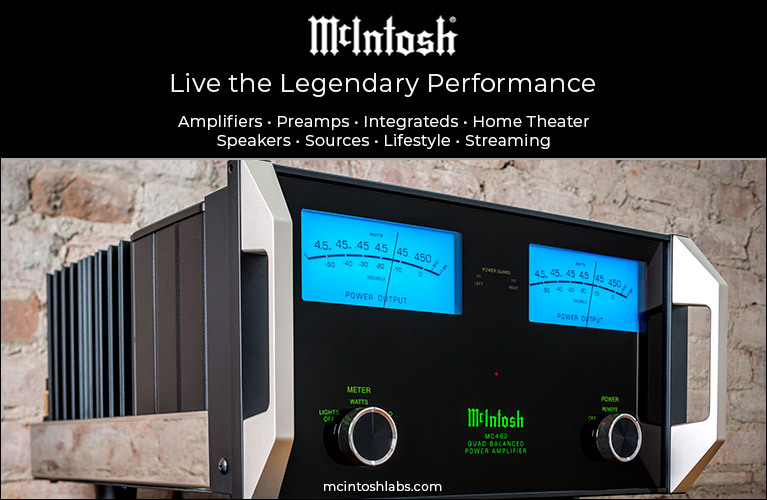 You are starting to see this more often in today’s receivers, for good reason: It’s difficult to cram 11 channels of class-AB amplification into a standard-size case, and class-D amps offer high efficiency, low heat, high output, and small size. Unlike the specs in some rival receivers, all of the DRX-R1’s amplifier channels are claimed to produce 140W into 8 ohms. Granted, this isn’t an all-channels-driven spec, but Integra’s amp design looks robust, with power output rated into 4 ohms and 40 amps of instantaneous current. There’s even a dynamic power rating of 320W at 3 ohms, which shows that, at least on paper, there are oodles of power on tap. Unlike with past flagship Integra receivers, however, the DRX-R1’s THX rating is Select2 Plus, down from Ultra2. This means that the DRX-R1 is suitable for a room of 2000 rather than 3000 cubic feet. I had no problem using the DRX-R1 to drive my speakers to very loud levels in my room, which has a volume of about 2300 cu. ft. Speaking of THX, the Integra DXR-R1 has all the usual THX processing modes and features. The only one I used with any frequency was Loudness Plus, which is useful for late-night listening. 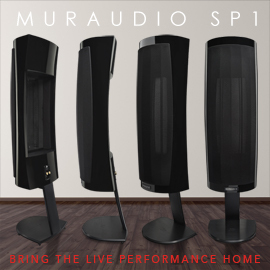 It adjusts the frequency response and loudness of your speakers to give you better surround envelopment at low listening levels. There are plenty of HDMI connections: two outputs and eight inputs (one input is on the front panel). The second HDMI video output can be used for Zone 2, and the HDMI output is compatible with the latest features: 4K/60Hz, HDCP 2.2 copy protection, HDMI High Dynamic Range (HDR) support, and BT.2020 color gamut. One thing that makes a remote control great is backlighting, so you can operate it easily in the dark. Unfortunately, the DRX-R1’s remote is not backlit: If, like me, you enjoy watching movies in a pitch-black room, you’ll have to memorize the buttons’ positions. But I can’t complain too much -- without an overabundance of buttons, the remote does everything it needs to do. A better option for controlling the Integra DRX-R1 is Integra’s excellent Control Pro app, available from the Apple App Store or Google Play. Control Pro gives you complete control over the DRX-R1, and it looks good too. The music-server section is particularly noteworthy. You can browse your network-stored music, select tracks, and fast forward through them. The app will even control the DRX-R1’s volume and display album art. I used my usual array of Definitive Technology speakers: BP-8060STs for front left and right, a CS-8060HD center-channel, Mythos Gems for rear surrounds, and two pairs of ProMonitor 1000s, for the left and right surrounds and the front height channels. The front height speakers were mounted near ceiling height, to either side of my 92” screen. I used a pair of Angstrom Ambienti ceiling speakers for the middle channels. 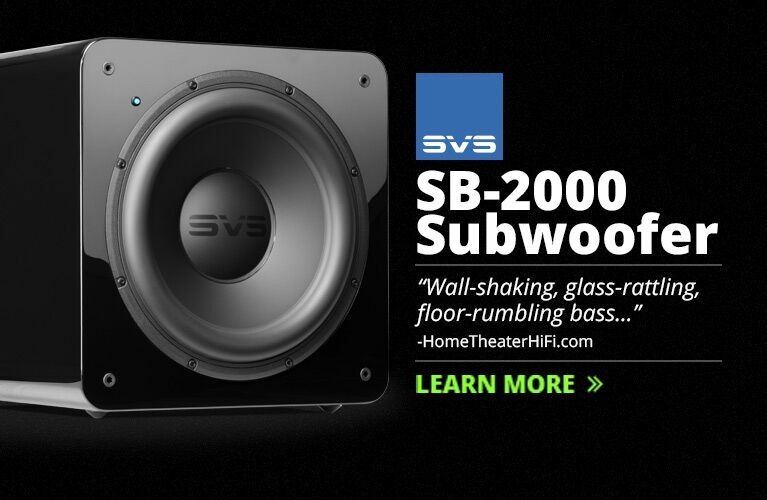 A Paradigm Servo-15 V2 subwoofer in the room’s front right corner handled LFE duties. The three main front speakers were about 11’ from my listening seat, the L/R surrounds some 5’ away. The rear surrounds were directly behind my listening seat, mounted on the wall around 4’ away and above my seated ear height. Past Onkyo and Integra receivers included the powerful Audyssey suite of room-correction programs, but in the DRX-R1 and other recent models Integra has replaced this with its own AccuEQ room correction. When I plugged the puck-like microphone (included) into the front of the DRX-R1 and placed it at my listening seat, the DRX-R1 made a series of crazy sounds resembling a machine gun, white noise, and echoing white noise. The first round of tones tests for distance, sound-pressure level, and crossovers. The second set measured my room’s sonic characteristics, and adjusted the system’s frequency response to minimize standing waves. With 11 speakers and a subwoofer, AccuEQ seemed to take a long time, but it was actually only 11 minutes. Unlike Audyssey, measurements are taken at only one point -- there’s no need to move the microphone to other listening positions and repeat the tests. 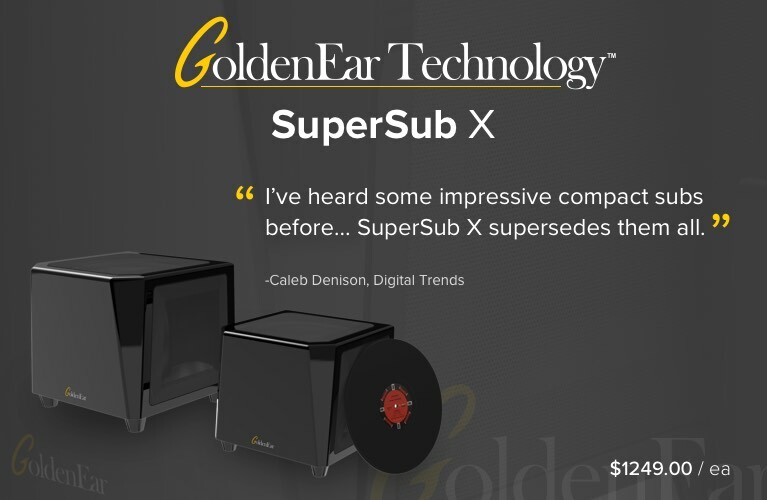 After calibration, you have the option of applying the resulting equalization to all of the speakers, none of them, or to all except the front left and right. Unfortunately, you can’t change your mind later and apply equalization to all of the speakers. I tried all three ways, and preferred the last option: EQ applied to all speakers other than the front right and left. After calibration, I also checked the AccuEQ’s measurements of the speakers’ distances from my listening seat, and they were measured to the nearest 0.5” and seemed to be pretty accurate. Nor were the levels out of whack. The front left and right crossover was accurately set for 40Hz, but the rest of the speakers were a bit higher than I’m used to seeing: in the 100-140Hz range. They sounded fine when I watched movies, so I didn’t change them. Basically, AccuEQ took the pain out of setting up 11 speakers and a subwoofer. If you like to tweak, the DRX-R1 also has manual features for setting each speaker’s EQ and for removing standing waves. The latter is done by running test tones and using a handheld sound meter to find the loudest frequency between 63 and 250Hz. You then select how many dB you want to attenuate this frequency. One of the best, most demo-worthy movies I used to evaluate the Integra Research DRX-R1 is the Blu-ray edition of Hacksaw Ridge: the moving story of Desmond Doss, a US Army Corporal and conscientious objector who served as a medic in WWII, and saved countless lives while refusing to carry a firearm in battle. The BD includes a Dolby Atmos soundtrack, and the brutal war scenes gave all of my speakers and subwoofer a thorough workout. In chapter 1, I was immediately immersed in the battle, as the DRX-R1 precisely placed flying mortar shells in my height speakers. In chapter 9, as battleships pounded Okinawa, I could follow shells through the air: the sounds moved through each ceiling speaker to the rear surrounds. As bullets whizzed all around me, I got a real sense of the chaos of war. The bass was startling -- I credit Integra’s AccuEQ for keeping it tight and accurate in my room. The DRX-R1 did a great job of keeping all of these sounds distinct and properly placed. Chapter 12, in which the US troops retreat and the battleships again pound the ridge, was frighteningly real through the DRX-R1. I felt I was in the middle of a 360-degree bubble, with explosions all around me. Another movie with scenes of unexpectedly excellent sound quality is The Accountant, the BD edition of which features a DTS-HD MA 7.1 soundtrack. The DRX-R1 used DTS Neural:X to upmix the sound to my height speakers, and it was incredibly effective. In chapter 1, a frightened voice was projected directly between the right front and right surround speakers, helped by the right top middle speaker. In chapter 4, Ben Affleck’s voice moves from speaker to speaker, including the height speakers, effectively immersing the viewer in the scene. In chapter 6, gunfire explodes out of nowhere, a testament to the DRX-R1’s powerful amps and high dynamic range. Before watching The Accountant, I wouldn’t have believed that a movie about an accountant could be exciting. However, when I watched this film in my home theater, the excitement was amped up because of the fine performance of the Integra DRX-R1. For native DTS:X content, I gave Ex Machina on BD a go. The DTS:X mix was initially underwhelming. However, after watching this movie several times, I appreciated how the ceiling speakers enhanced Ben Salisbury and Geoff Barrow’s mostly synthesized score. I switched between the theatrical DTS-HD MA 5.1 and DTS:X soundtracks, and the music was more engaging with the DTS:X mix through the DRX-R1. The use of the height channels is sparse in this film, but in one scene near the beginning, when Caleb is taken in a helicopter to Nathan’s estate, the sound of the chopper pans from the height channels to the front. The sound through the height channels was powerfully rendered -- yet another example of the DRX-R1’s strong power output and flawless processing. A nearly identically specified receiver that would make a great comparison to the Integra DRX-R1 is the Anthem MRX 1120 ($3499). Like the DRX-R1, the MRX 1120 has 11 channels of amplification, Dolby Atmos and DTS:X processing, and a music server. Unfortunately, I didn’t have one on hand, but I did have the next model down, the MRX 720 ($2499), which has only seven channels but is otherwise identical to the MRX 1120. One of the biggest differences in the two receivers’ specs was the Integra DRX-R1’s higher power output: 140W for all 11 channels, vs. the Anthem’s 140W for its five main channels and 60W for each additional channel. Another key difference is each receiver’s built-in room correction. For a basic setup, I found that both did a decent job of setting crossovers and levels. 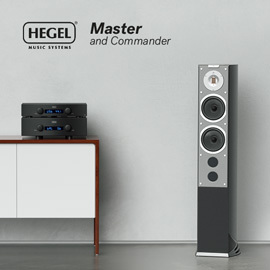 Unlike Integra’s AccuEQ, the Anthem Room Correction (ARC) system requires a computer, and doesn’t measure speaker distances -- you have to measure them yourself. Despite these inconveniences, the payoff with ARC is the ability to adjust individual parameters and see plots of the results displayed on your computer as frequency-response graphs. One of these parameters is the range over which the frequency response will be corrected: up to 5000Hz. You can also adjust room gain, to boost the bass frequencies. ARC also lets you store up to four different configurations. 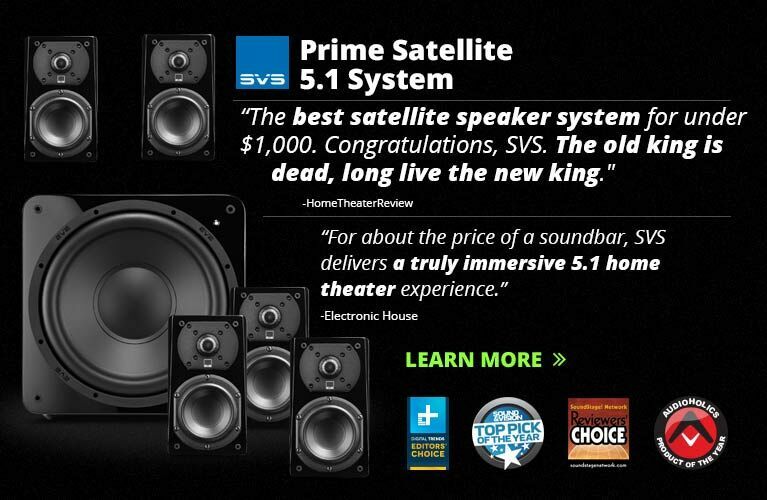 This let me enhance the bass response differently for home theater and music listening. Integra’s AccuEQ is made for those who want only fully automated room correction. For me, however, tweaking ARC’s parameters is well worth the time and effort, especially for music listening. For comparing the two systems, I cued up “Within,” from Daft Punk’s Random Access Memories (24-bit/88.2kHz FLAC, Columbia/HDtracks). Both receivers reproduced the deep, low bass for which this track is known. With the Anthem MRX 720, however, the bass was tighter and less resonant. 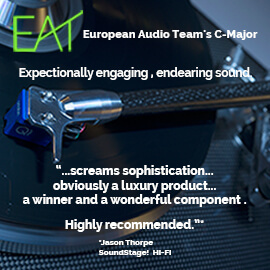 ARC showed its value throughout the audioband as well -- Chilly Gonzales’s piano on this track sounded more realistic through the Anthem MRX 720 than through the Integra DRX-R1. Streaming “Wherever I Go,” from Mark Knopfler’s Tracker (24/192 FLAC, Verve/HDtracks), I found that, tonally, the DRX-R1 had the typical warm Integra sound. Conversely, the Anthem receiver revealed more detail, with Knopfler’s and Ruth Moody’s vocal inflections portrayed better than through the Integra. The Integra and Anthem receivers both performed very well with movies. But to level the playing field for the 11-channel Integra and the 7-channel Anthem, I had to pair the MRX 720 with my Integra DTA-70.1 nine-channel power amp for the four height channels. Then, when I cued up the Dolby Atmos mix of the BD of Sicario, I found that the height channels were slightly more dynamic through the Integra DRX-R1. This was evident in the scene at the Mexican border, with a helicopter more prominent in the height speakers through the Integra than through the Anthem. In both features and performance, the Integra DRX-R1’s music server is better than the Anthem’s. Anthem has DTS’s Play-Fi built in for streaming, but Integra uses its own solution. The Integra receiver is compatible with DSD files, which DTS Play-Fi is not. Although both models can natively stream 24/192 FLAC files, DTS Play-Fi occasionally ran into buffering problems -- the music stopped for short periods. This was problematic not only with Wi-Fi, but also through the Ethernet connection. Integra’s music server had no such problems. Choosing between the Integra DRX-R1 and the Anthem MRX series, you can’t go wrong with either. If you want an all-in-one receiver that isn’t fussy to set up or use, choose the Integra. If you like tweaking your settings, especially for stereo listening, you might prefer an Anthem MRX. The Integra Research Series DRX-R1 is worthy of its flagship standing in Integra’s receiver line. With its brawny 11 channels of amplification and the latest object-based surround decoding, the DRX-R1 is at the pinnacle of today’s home-theater receivers. The lasting impression it made on me was that it works simply, and simply works. By that I mean that I don’t recall any component in recent memory that was as easy to use, and that didn’t present problems in operation. If you’re in the market for a top-end A/V receiver, I highly recommend that you give the DRX-R1 a listen.